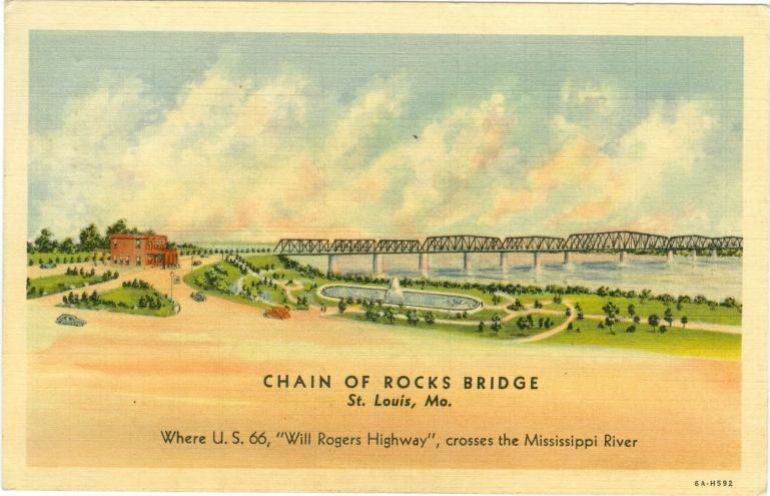 The Chain of Rocks Bridge opened in 1929, and carried Route 66 traffic from 1935 to 1955, and Bypass 66 from 1955 to 1965. It closed in 1970, and was nearly demolished. The bridge served as a set for the cheesy 1981 movie, "Escape From New York" in 1981. Gateway Trailnet took over in 1996, and opened the bridge to pedestrian and bicycle traffic.